"Our boat was not where we left it ... We were in complete shock." Earlier this week, newlyweds Kendra Campbell and her husband Dan drove to the marina in Comox Valley, in British Columbia, Canada, to check on their sailboat. When they gazed out into the harbor, Dan told his wife he couldn’t see their mast over the breakwater. The Campbells have only had their boat for about a year, and they both started to panic. 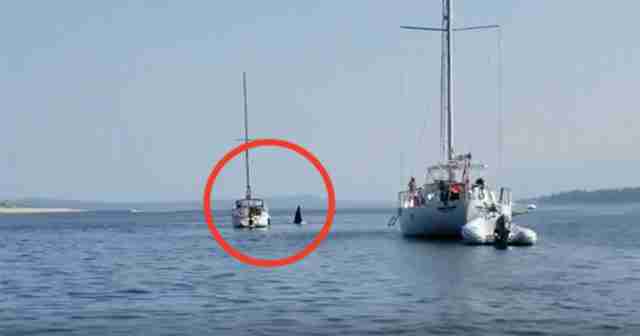 After several agonizing minutes, they finally spotted their mast behind a large metal sailboat — and a couple onboard the large boat flagged them over. The couple explained to the Campbells that they’d seen their boat moving without anyone on board, and then the two boats collided. 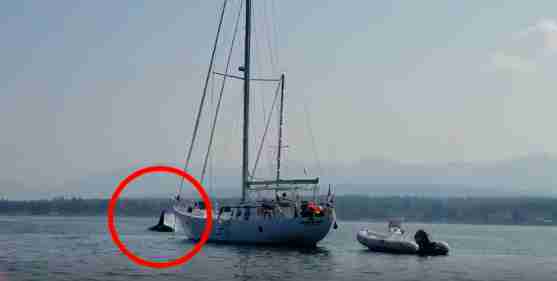 They eventually figured out what had happened — a wild orca had grabbed the anchor line and taken the Campbells’ sailboat around the harbor for a joyride. The whole incident was caught on video by an onlooker. 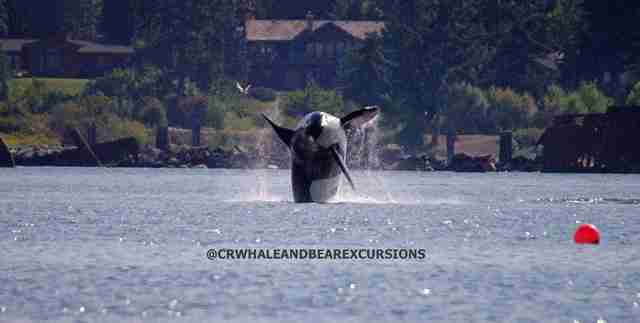 The orca, who is identified by the name T73B, is well-known to the locals of Comox Valley as he often comes into the harbor to hunt marine mammals like seals and porpoises. He’s part of a subpopulation of transient orcas, who mostly eat mammals rather than fish and spend a lot of time by themselves or in small groups. T73B is also famous for being a bit of an oddball. T73B has also been observed playing with crab traps in the area, which can actually be quite dangerous for orcas, who run the risk of getting tangled up in the traps. But no one has ever seen T73B — or any orca — play with an anchor line before. Luckily, T73B came out of his latest stunt just fine — although the railings on the Campbells’ boat suffered a bit of damage. Despite the slight inconvenience of having to get their boat fixed, the Campbells are still in awe about this close encounter with nature.